Tomorrow is the first day of school at Haven of Peace Academy, and I get the privilege of being the elementary school principal. 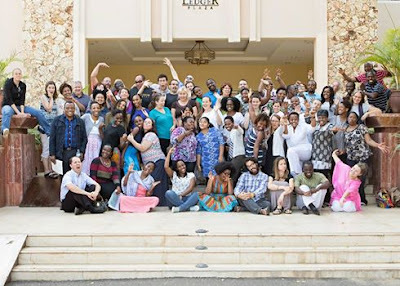 This picture was taken on Thursday, and this is the incredible staff I get to work with this year. We are from probably over a dozen different countries, and together we get to create an amazing community of learners for almost 400 students. 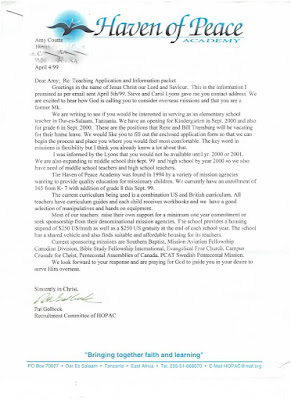 The letter is dated April 4, 1999, and it's the original invitation HOPAC sent me to come and teach. I didn't make it here until August of 2001, but I eventually did arrive, and I taught this wonderful group of kids for two years. In 2005, Gil and I came back to Tanzania, this time with him as chaplain and Bible teacher, and HOPAC became our entire life for 8 years. We ate, slept, and breathed HOPAC. If you cut us open, HOPAC blood would have run out. Then we left in 2013, and I thought that was the end. We would be returning to Tanzania, and our kids would be attending the school, but I knew it wouldn't be our life anymore. I joined the board as a parent volunteer. Pictures of board meeting aren't very exciting. The meetings themselves weren't very exciting either, but they sure were interesting. My devotion to this school just continued to grow. 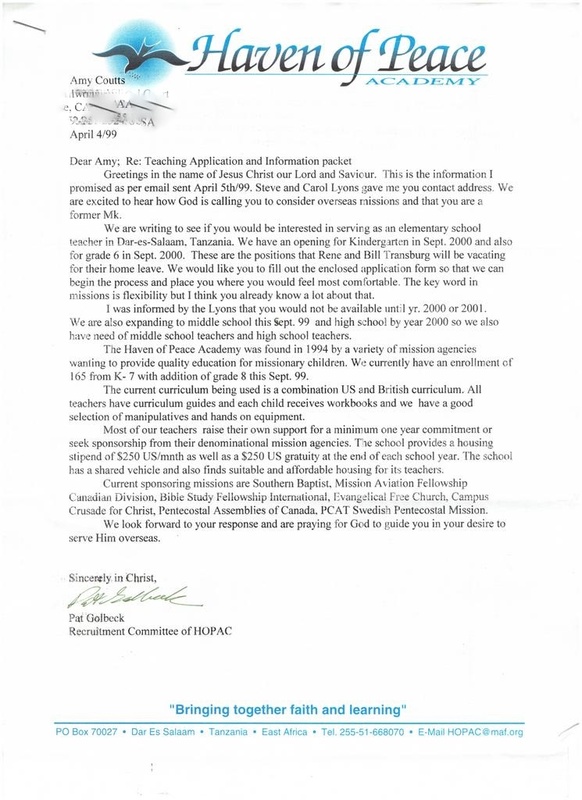 So when it became apparent that God was leading me back to working at HOPAC, and I applied and was granted the position of primary school (elementary) principal, well, it just seemed to good to be true. Truly, far more than I imagined. But it is true. And it's happening, and here I am again, immersing my life into this place which I dearly adore. My cup overflows. I can't think of any place I would rather be. These last two weeks have been crammed with all the things that are needed to open a school year--orientation sessions, organizing, scheduling, helping new teachers. And though my first week was rough as I struggled through jetlag and an abundance of nerves, I love this job more and more with each passing day. Which is pretty cool considering that the school year hasn't even started yet. This is a new season for me. And one thing many friends asked me while I was in the States was, "Are you going to be able to keep blogging?" I sure hope so. That's my plan. But it might be different. I won't have as much time to write and I won't have as much mental space to think about writing. There might be a lot more things in my life that I won't be at liberty to share publicly. But I hope you'll stick with me anyway, because this a journey I will want to share. I will sing the Lord's praises, for he has been good to me. Last week, when Johnny arrived in Tanzania and got into the taxi that would take him home, Gil asked him, "Do you know where we are going, Johnny?" My 5-year-old, jetlagged, very confused son answered, "To Uncle Brandon's house?" Oh my sweet boy. We have really messed with your mind. Uncle Brandon's house is now 10,000 miles away. You are going home now. We spent four months in the States. It was jam-packed with memory-making, especially with family. My kids spent days....weeks with their cousins, often living in the same house. Other family members rearranged their lives over and over again so that they could spend more time with us. Lots of swimming, lots of games of Wiffle Ball, lots of bike riding. We drove as far north as Concord and as far south as San Diego. We drove from southern to northern California and back again at least five times. Gil and I traveled to Austin for a conference and I traveled by myself to Minneapolis for a week. We hugged so, so many people. We were listened to. We were spoiled. And the ice cream. Oh, the ice cream. And the shopping. Ridiculous amounts of shopping. Enough to fill up 18 pieces of luggage. We bought out Amazon and the packages arrived daily on the doorstep of wherever we were staying. "Wow, you must use a lot of deodorant," the cashier at Target told me as she beeped through 14 canisters. "Um, yeah, well, we live in tropical Africa," I told her. And she didn't really know how to respond to that. People usually don't. I did get so tired of living like a hobo, organizing my kids' clothes again and again, adjusting to different beds again and again. The travel and the chaos was often exhausting. But I am so thankful. Thankful that my kids had a chance to interweave their lives with their cousins. Thankful for the reminder of all who hold us up with their prayers and giving. Thankful that we really do get the best of two worlds. Thank you, family, friends, American Church. You are so good to us. This was June. I get tired again just looking at it. Look at that....speaking at Faith Community Church on a missions panel....actual evidence that we did work on this home assignment! We really did do a whole lot of speaking and presenting and meeting with supporters....we just never took pictures of those events. And of course....there's the obligatory medical tests whenever we visit the States. Medical care is improving in Tanzania (for people who have money), but there are still some things (like allergy testing) that we need to do in America. We visited a lot of supporters, but sometimes those visits are just really, really special. Lois is one of our biggest prayer warriors and one of this blog's biggest fans. It was a treat to spend time with her. Sigh. We love grandparents so much. And there's the other ones. I get a lump in my throat every time I see these pictures. And Johnny just about sums it up. We are all back in Tanzania and new things are happening (more about that later), but first I need to get caught up on July's pictures. Appropriately for America, Wiffle ball replaced soccer as my boys' game of choice. They played almost every single day. This time at a San Jose Giants game (Triple A), and Grace got to be a junior commentator. My little ham rocked it. I was 22 years old, I had just finished my teaching degree, and as far as I was concerned, I was ready to be a missionary. After all, I had been an MK and thus knew everything there was to know about missions in Africa. And for that matter, I pretty much knew everything there was to know about life. Like any 22-year-old. 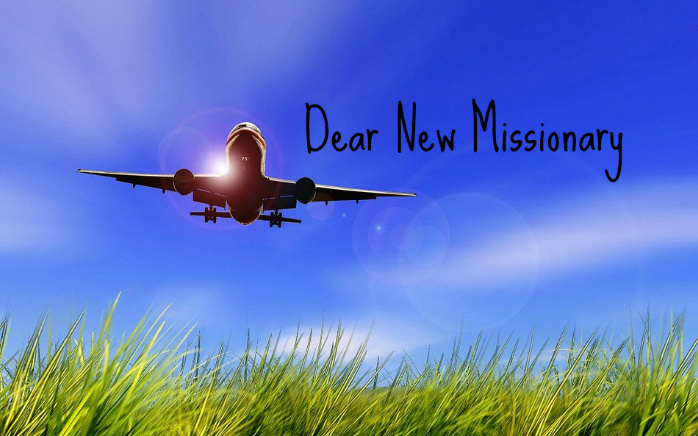 I went to our mission organization's candidate school twice. Once while single, since the plan was to head to Tanzania after my first year of teaching. Then this dream guy named Gil Medina messed with my plans and I ended up getting married instead. So two years after my first time at candidate school, and 9 months after getting married, I went again--this time with Gil. Visiting the States always brings back so much nostalgia for me. So much of my history is in America; it floods me with memories. And this time around, I was reminded of that pre-Tanzania season of my life. 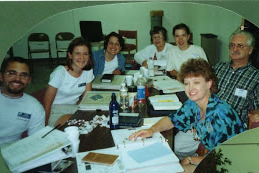 I was invited to be a facilitator at our mission's missionary training a few weeks ago--this time as the experienced missionary. So I spent a week in July with our mission's newest crop of missionaries. And I saw myself in them, 18 years ago. You would think that after being a missionary kid, and attending candidate school twice, that I would have been ready for my new life overseas. I sure thought I was. But in reality, I had no idea what was about to hit me. 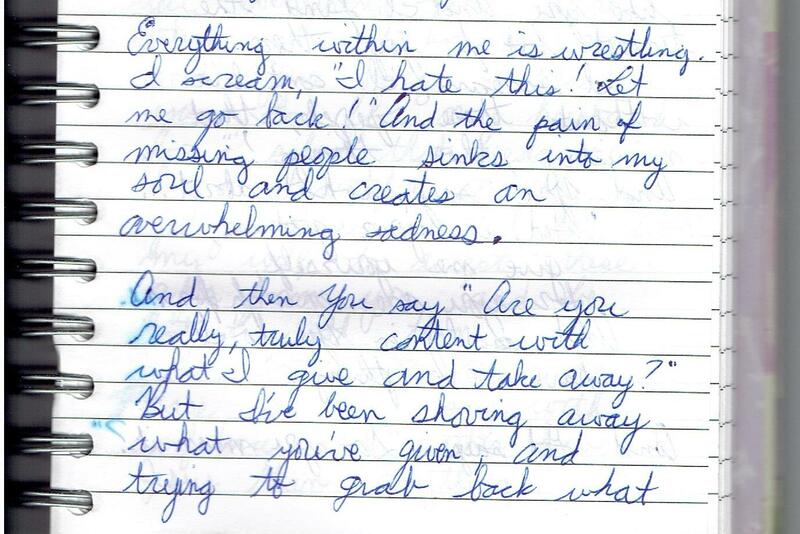 I had a massive panic attack and mental breakdown ten days after arriving in Tanzania in 2001. As a result, I was barely coping for the entirety of the first year we lived there. 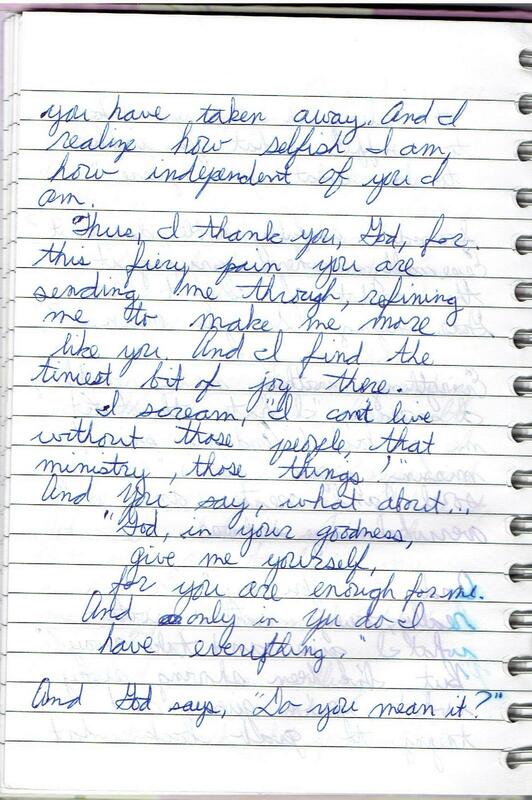 I dug up my old journals last week while at my parents' house, which flooded me with even more memories. This is what I wrote a few days after that breakdown. Everything within me is wrestling. I scream, "I hate this! Let me go back!" And the pain of missing people sinks into my soul and creates an overwhelming sadness. I'm telling you this for a couple of reasons. Partly because it's good to look back and see how far I've come. Even though that period in my life was certainly the darkest I've experienced, it's reassuring to remember how God showed up in the midst of that pain--even though I couldn't see it then. It's comforting to understand now how necessary that pain was, and how profoundly it contributed to who I am today. But I also wanted to give you the backstory to this piece I wrote for 'A Life Overseas.' 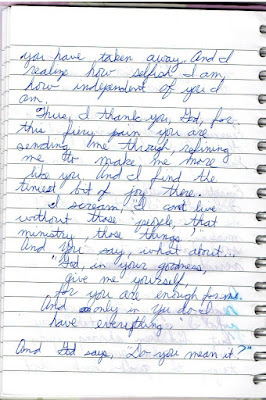 I wrote it on the plane as I was coming home from helping to facilitate the new missionary training. 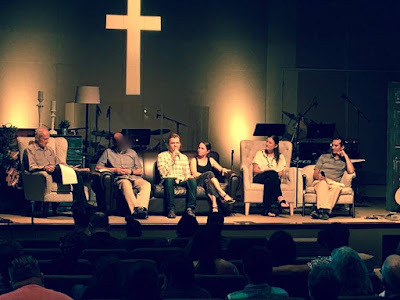 It was such a privilege to spend that time with about 40 new missionaries--many ages, many walks of life, headed to countries all over the globe. And I hope that the beginning won't be as hard for them as it was for me. I know that even if it isn't, it will still be hard. But I wanted them to know that it's worth it. I wrote the following piece through tears. Tears in remembering, but also tears of great thankfulness and joy. Because, oh, how it's been worth it! That's what I wish I could tell my 22-year-old self, sitting in candidate school. She had no idea how hard it would be. But I'm sure glad she didn't give up. Here's an excerpt, but I hope you'll read the whole thing. It expresses a great deal of how I feel about the last 15 years of missionary life. It’s going to be hard. Really hard. And it won’t just be the things you anticipate will be hard. Sure, there will be the bugs and you might hate your kitchen and driving might terrify you. You might cry because the potatoes are just not cooking right and you accidentally insult someone and no one speaks to you at your new church. Your kids might get a strange rash and you will buy the wrong medicine and you’ll wonder what on earth you were thinking to bring your family to this strange place. Then there’s the fear. You won’t let your kids play outside without you; you’ll hold your purse a lot more tightly; you’ll worry about the pollution affecting your lungs. You’ll sleep a lot less soundly and get up at night just to check out the windows, one more time. It might feel like everyone is smirking at you behind your back. And you’ll wonder why you ever thought you could have an impact on this new place. But then there will be the things you didn’t anticipate would be hard. Your sin won’t stay in your home country, in fact, it will seem to ooze out of you in buckets. Your team leader won’t have enough time for you, and you’ll feel left dangling, high and dry and bewildered. The poverty surrounding you will hang constant guilt around your neck. You will communicate like a two-year-old. You’ll lose your sense of self-respect. You won’t feel good at anything anymore. You will, in essence, lose yourself. And it might feel like dying. But, in that losing, you will find yourself. And in that dying, you will live.